We read about this wonderful streetstyle blog in the Sunday paper. 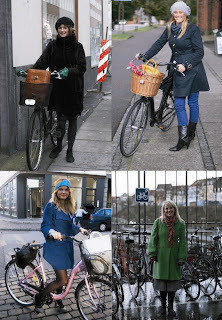 Gademode.dk [Street Fashion, translated] is a streetstyle blog from Denmark's second city, Aarhus. Since we get so many fashion-oriented visitors, we figured that we'd plug a groovy site that you normally wouldn't get to see. It's all capital cities out there in streetstyle-website-land. Inevitably there are some photos on their cool site featuring bikes. This is Denmark, after all. They're the most appropriate choice of images with which to plug the site. just found your blog and I'm sooooo in love.